All of us at Universal Pool Service have families, and some of us have young kids. We all want our children to safely enjoy pools this summer, and cannot stress how vital pool safety is. As summer approaches, it is the perfect time to sit down with your kids and talk about pool safety. Learn To Swim, and start YOUNG: Did you know humans are born with a natural instinct to kick our feet in water? Children as young as six months can be taught how to roll onto their backs in the water to encourage floating. Accidents can happen to the best of parents, and teaching children how to swim before they even walk can be a lifesaving skill. We suggest investing in professional swim lessons from trained instructors to help your kids be strong swimmers. Invest In A Fence: There is a terrifying time in most pool-owners’ lives between when their kids learn how to open doors and before they learn how to swim. If you have young kids who like to explore in the backyard, consider investing in a fence to protect children from accidentally running (or riding their bikes) into the pool. This is also a good idea if your backyard is the hangout spot for neighborhood kids who might not be strong swimmers. Lay Down The Law: If you have children, it is important to make rules about pool safety. Some ideas could be: “Play Nicely (AKA don’t hold your little sister under the water,” “No doing flips into the pool,” “You have to wear floaties until you finish your swim lessons,” and “Don’t swim near the pool drain.” Kids often feel like they are invincible in the pool, but teaching them about real danger or injuries they could face is important for everyone having a great summer. Always Have Supervision: It is important to always have adult supervision when young kids are in the pool. 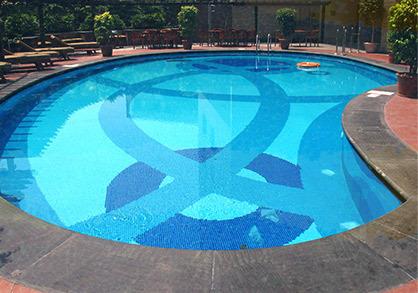 We understand that your young teens might want to hang out in the pool by themselves or with a friend. If you have older children, implement a “Don’t Swim Alone Rule” where they need to have a buddy in the pool with them, and an adult needs to be available in the house or nearby in case there is an emergency. Take Water Safety Classes: Studies have shown that children as young as nine can learn CPR and effectively implement it during an emergency. While adults or professionals should be the ones to perform CPR during an emergency, you never know when YOU will be the one who needs saving. Take the whole family to your local Red Cross or other certified organization to learn vital water safety and CPR skills. 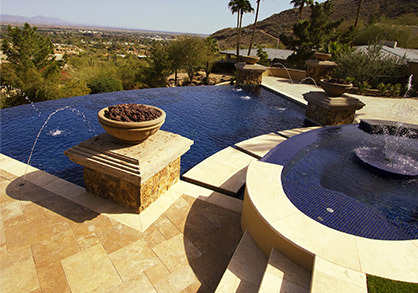 Pool safety ranges from keeping the pool clean and free from bacteria to being prepared in an emergency situation. 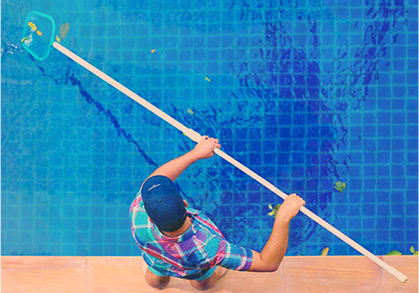 Our founder, Bryan, has a background in lifeguarding and water safety, and we continue to encourage our customers to keep their families safe around pools. We love pools, but we also respect that they come with risks. Make sure to talk with your children about pool safety this summer, and stay safe in a Universal Pool Service maintained pool!